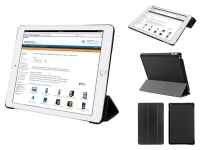 Robust iPad Air 2 Smart Case. Specially tailored for a perfect fit . The cover is provided with sleep function, the appropriate cutouts and an integrated stand.